A five-cut silage system is said to boost silage quality. Milk producers are missing an opportunity to slash production costs by continuing to make mediocre grass silage. Instead they should be boosting quality by going all out for a five-cut system where grass is cut young before any plants have had time to start to form a seed head. He dismissed the idea any benefit from the better quality silage would simply be wiped out by additional harvesting charges. Mr Wixey explained the typical cost of harvesting a three-cut system for a 220-tonne dry matter (DM), 100-cow herd worked out at £5,540, whereas it was £8,100 for the five-cut system, around £2,500 extra. But he said with the combination of the right sward species and frequent cutting, metabolisable energy (ME) would be improved by 1MJ/kgDM. As such, he said it gave a potential three-fold return on the extra foraging costs. He showed on the Kingshay costing (2016-17) figures ranked on a milk from forage basis, the top 10 per cent were taking more than 4,000 litres from forage while the bottom 25 per cent took a little more than 1,000 litres. As a consequence, concentrate use was 1.8 tonnes per cow for the top 10 per cent, and at 3.1t/cow for the bottom quartile. This worked through to a 3ppl difference in margin over bought-in feed at 18.3ppl and 15.6ppl respectively. To achieve the yield with persistence, he recommended six to seven year leys with a mixture of high yielding perennials with diploids and tetraploids, and ruled out the shorter duration Italian rye-grasses. He admitted the system would not appeal to everyone and was best suited to herds with reasonable yields, those of at least 8,000 litres, where they could maybe take half the yield off forage. 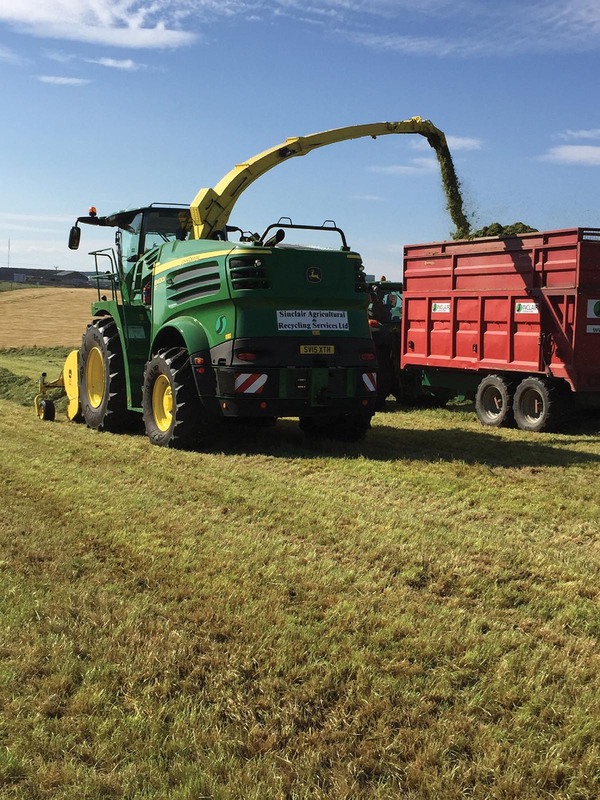 In practical terms, fellow presenter Derek Nelson, product manager at Volac, said silage making in the five-cut system should ideally be a one day operation. He said analysis of a typical two-cut system would show 30 per cent DM, with 10-10.5ME, crude protein of 11.5-12 and neutral detergent fibre (NDF) 52-58. By contrast a five-cut system would be 30 per cent DM, 12ME, crude protein of 16 and NDF 45. He advised applying slurry early in the year along with 50kg/hectare of nitrogen. The fertiliser application should be repeated immediately after every cut and slurry only applied at later cuts if it had to be spread. But slurry must be put on at root level, either by injection or trailing shoe and under no circumstances broadcast. As to spoilage at conservation, he said: “The risk of aerobic spoilage is less with multi cut as the grass packs tighter, but you must use an additive. This will convert sugars to lactic acid quicker and therefore more nutrients are conserved. “On the five-cut system it is pure leaf and there are no air gaps so yeast and mould find it difficult to grow. Because it is high in protein it is more stable,” he added. However, he warned it was worth getting a nutritionist to balance the resultant diet as it may be necessary to add extra fibre to keep the rumen turning over.